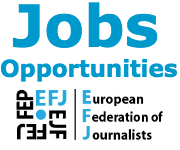 The European Federation of Journalists (EFJ) maintains this website to enhance public access to information about its activities. Our goal is to keep this information timely and accurate. If errors are brought to our attention, we will try to correct them. However the EFJ accepts no responsibility or liability whatsoever with regard to the information on this site. It is our goal to minimize disruption caused by technical errors. However some data or information on our site may have been created or structured in files or formats that are not error-free and we cannot guarantee that our service will not be interrupted or otherwise affected by such problems. The EFJ accepts no responsibility with regard to such problems incurred as a result of using this site or any linked external sites. This disclaimer is not intended to limit the liability of the EFJ in contravention of any requirements laid down in applicable national law nor to exclude its liability for matters which may not be excluded under that law. The general principle of reuse can be subject to conditions which may be specified in individual copyright notices. Therefore users are advised to refer to the copyright notices of the individual websites maintained under EFJ and of the individual documents. Reuse is not applicable to documents subject to intellectual property rights of third parties. 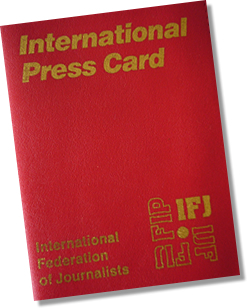 The European Federation of Journalists is committed to user privacy. Although you can browse through most of our websites and pages without giving any information about yourself, in some cases, personal information is required in order to provide the sensitive information you request. 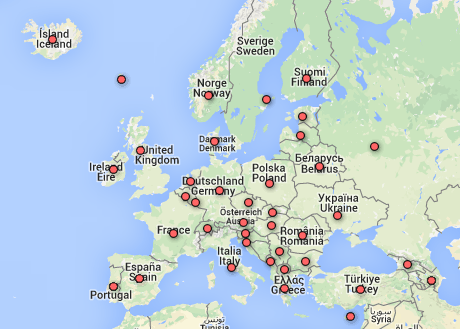 The EFJ webiste provides links to third party sites. Since we do not control them, we encourage you to review their privacy policies. The EFJ website have a “Contact” page which activates your e-mail software and invites you to send your comments to a specific functional mailbox.